On the evening of 22 April 1993, Mr & Mrs Conor Taaffe had been to a prayer meeting at their local Catholic church. As they left the church they noticed two young black boys who were running towards them. Further away they saw a young man holding his upper chest with one of his hands, as if he might have been injured in that area. Then they saw him crash onto the pavement. At once they realised that something very serious had happened. They moved closer, oblivious of their own needs or safety. There was another man standing in the middle of the road trying to flag down passing cars. Then they saw him go to the telephone box on the other side of the road, probably to try to call the emergency services. The Taaffe’s crouched down on the hard pavement with the young man as he lay there, and Mr Taaffe remembers an involuntary movement of the head to the left and a sound as if the young man was choking and trying to breathe. There was quite a lot of blood on the pavement. As the young man’s life clearly was ebbing away, Mrs Taaffe gently and lovingly reached over and touched the young man’s head. The last words he heard as he gave up his life were her whispering into his ear: you are loved, you are loved. The young man’s name was Stephen Lawrence. In the story that Jesus tells us this morning, it is this same God who comes to us where are, waiting in the market place. And we are all in the market place sometimes in our lives, whether we realise it or not. All of us ask those big searching ‘why’ or ‘how’ questions about life from time to time. Just this weekend, how Lord, could you let those Welsh miners die? In asking those sorts of ultimate questions, we are all looking for ultimate answers, ultimate answers that can only come from a relationship with the ultimate - with God himself. In the story Jesus tells this morning, for some of those workers, the day is long, hot and hard, but not so for others. To our mind, it seems unfair, unjust for the wages for all the workers to be the same. But if we carefully look at the contract made by the landowner and the workers - they agreed to the ‘usual daily wage.’ for work, whether they have worked all day or for just an hour. It is up to the land owner to pay what he desires and whatever is agreed. As far as God is concerned, it doesn’t matter whether we came to know Him, asking big life or faith questions, eighty years or eight weeks ago. It doesn’t matter whether we have faithfully attended church our whole life or come to Him on our deathbeds. That is the extent of the generosity and patience of God outworking the topsy turvey values of His Kingdom. There is never any sense of - right, sorry, heaven is filling fast, if you want to come in you have til next Tuesday to sign up. God goes on loving, He goes on welcoming those who come to Him in faith. And the payment? Jesus is clear, the wages are the same - when we ask those ultimate questions of an ultimate God, He offers each one of us an eternal life long relationship of love - the wages are the same. We may not get all the answers we seek straight away, but we do ultimately get a God’s eye perspective on how life should be according to the values of His Kingdom - where the the poor are raised up, the rich and powerful are cast down and where the last are first. It may not seem fair or just if the office junior were paid the Director’s salary but this is the extent of the wild, wanton, almost wasteful generosity, love, and grace of God. In economic terms, if God’s company were to run like that it would surely go out of business very quickly, but there is a price for the wage structure to be like that. But this is not a parable about our work or how we will be paid - it is a reminder of the graciousness, the benevolence, the kindness and the generosity of God – a God who gives the best thing he has – himself. 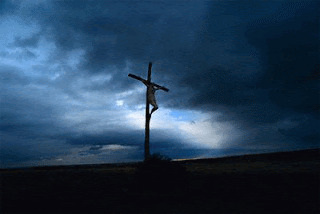 Who in some mysterious way in Christ’s crucifixion, pays the price of my sin – and the only reward any of us could ever hope or pray for – assured in His resurrection - the gift of eternal life with Him. This morning, Jesus runs to us, He crouches near to us on the hard pavement of our lives, gently loving us into life, whispering into our souls - you are loved, you are loved you are loved; He meets us again and again, today, here even, in the market places as we ask life’s ‘why?’ questions and offers us the wages of eternal life, knowing that the costs are covered, the price is paid. This morning we need to decide for ourselves - perhaps for the first time, maybe afresh, whether to accept the generous grace-filled offer of His life transforming love, his very self - freely given, thoroughly undeserved and outrageously unwarranted and offered widely and to all, whether we have known Him for eighty years or eight weeks, or not. For faith, being Christian, is not about how much we know about God in our heads, or for how long, but how we are known by God in His heart of love. Amen. I have learn't to value your thoughts on matters such as these greatly. You have the knack of telling us how it is nearly every time.